File 1-0441 - Design of residence for Geo. S. Russell, Victoria, B.C. 1 architectural drawing : blueprint ; 47 x 44 cm. 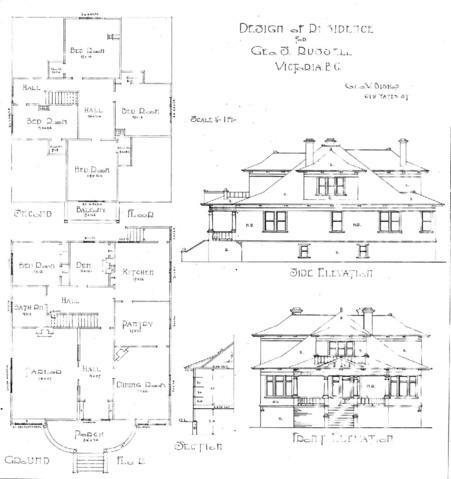 Consists of architectural plan for building at 1037 Richardson Street.